On the days leading up to our departure, Callum had the unfortunate fate of putting his hand through his 18th Century bathroom window (don’t ask how), meaning he could no longer ride his motorbike. There would now be two of us in the 90 along with the bikes and a 70 series Land Cruiser. Leaving Melbourne behind us we headed north to Broken Hill to team up with the other guys who were coming over from Sydney. 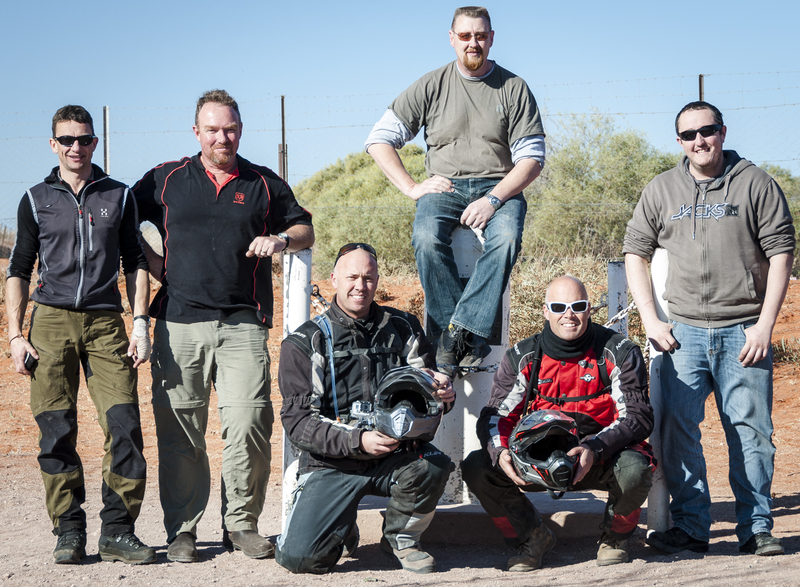 There was Scott and Brett on the Tenere and DR650 respectively, with John and Darren driving the 70 series. After meeting, we went to fuel up which included a number of jerry cans for the bikes and then went to the supermarket to get some food. 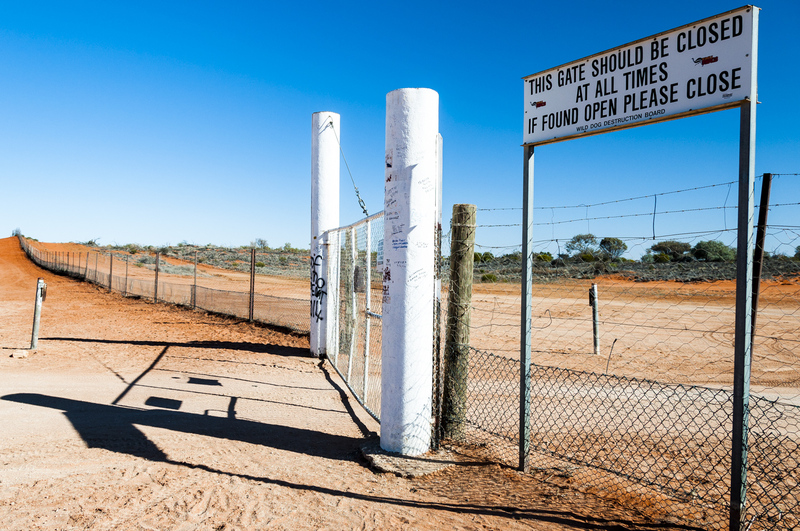 Broken Hill would be the last main town before Alice Springs. That night we were sleeping on the garage floor of Adrian Channing. 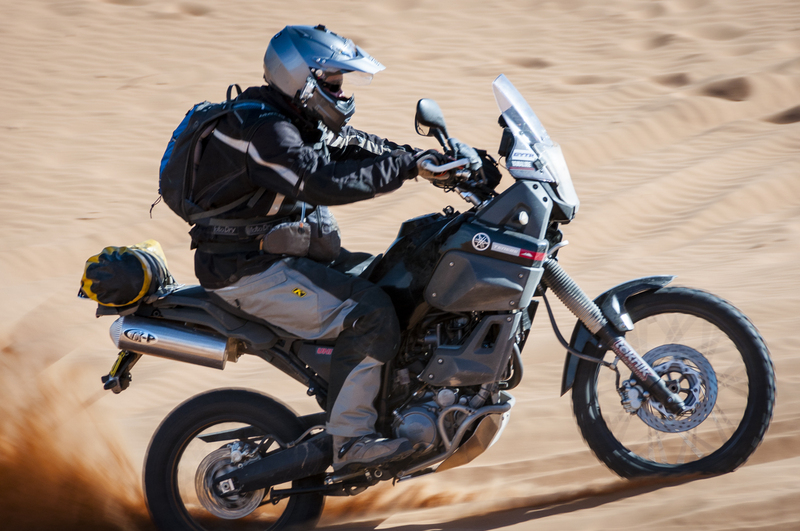 Adrian is a multiple winner of the Australian Safari motorbike race and other such two wheel enduro events. It was great to meet him and see his monster KTM that he used to compete on. His bike actually carried more fuel than the standard tank on our Defender! We left the tow vehicle at Adrian’s as this would be the launching point for the bikes. 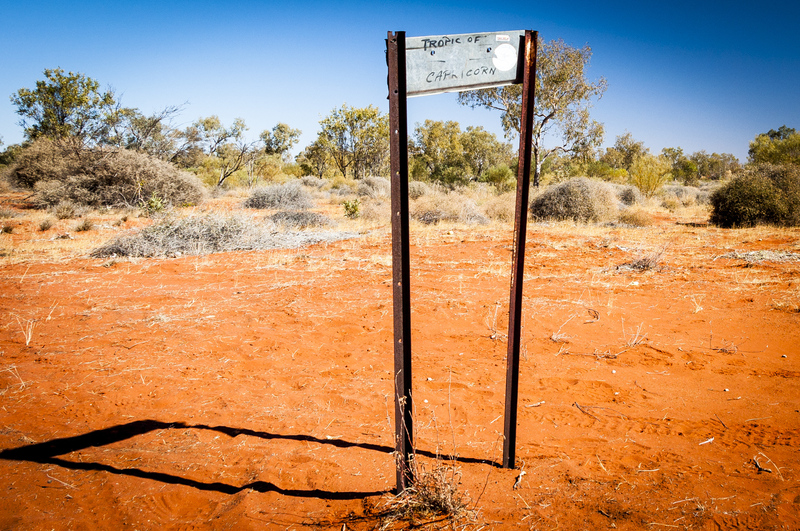 We finally got all our permits for the Aboriginal Land Access faxed off that morning and then headed north on the Silver City Highway into the red dirt towards Tibooburra. On the way we were unfortunate enough to ‘run into’ a small Kangaroo at 70kph. Luckily, Callum was driving (it was his Defender) and it bounced off the passenger wheel. It was very unpleasant though as the ‘roo was now in a bad way and we had to quickly dispatch it before moving on. 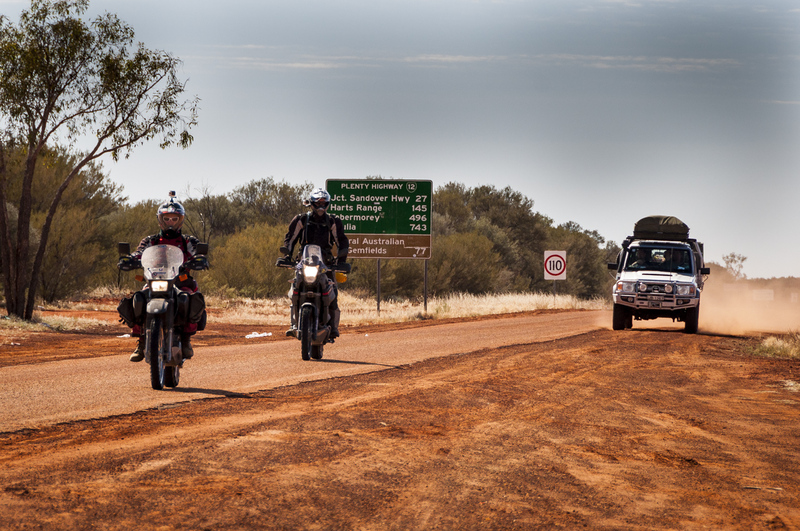 After fuelling up in Tibooburra we headed west to Cameron’s Corner. On the way, we passed through the infamous Dog Fence. The Dog Fence is one of the longest structures in the world and the world’s longest fence stretching over 5500km. 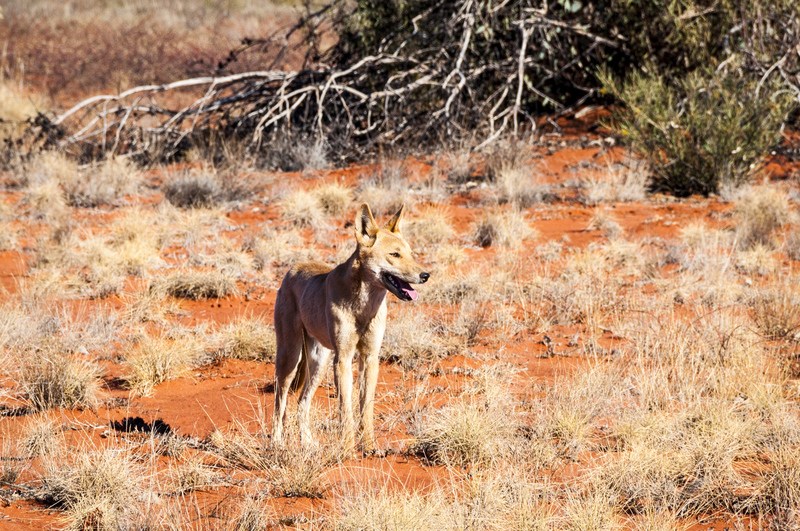 The Dog Fence is a pest-exclusion fence that was built during the 1880s to keep dingoes out of the relatively fertile south-east part of the continent (where they had largely been exterminated) and protect the sheep flocks of southern Queensland. 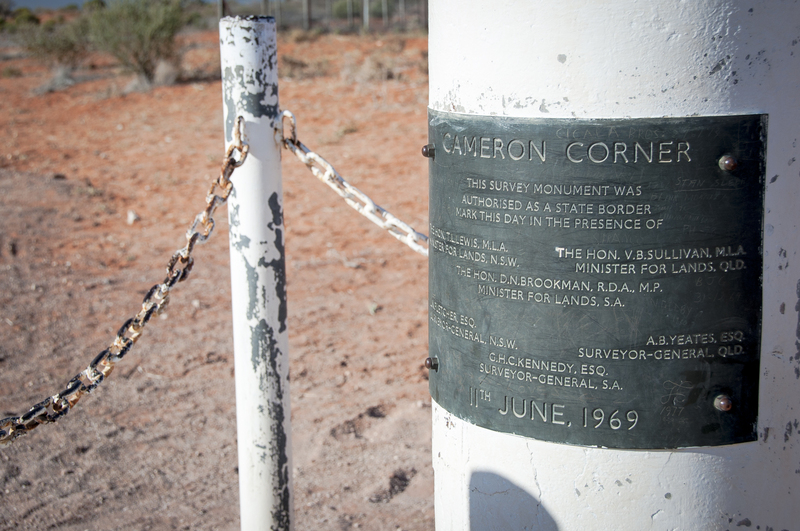 Cameron’s Corner sits as a lonely outback outpost on the tri-state boundary of South Australia, New South Wales and Queensland. The sole permanent residents are Fenn and Cheryl Miller who operate the Cameron Corner Store and a golf course near there. Apparently, it has a Queensland liquor license with a New South Wales postal code and a South Australian telephone number! 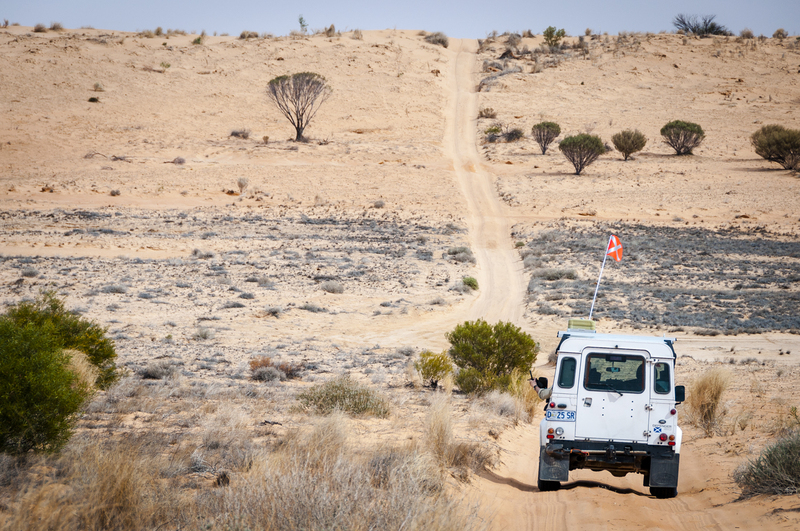 Following this route took us north onto the Old Strzelecki Track where we camped for the night, our first night in the desert under the stars. 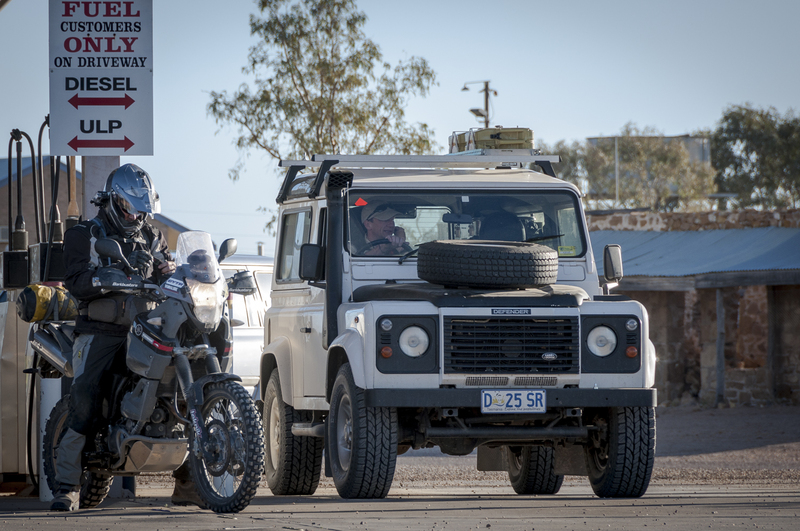 After another fuel stop at Innaminka we headed out west along 15 mile Track to pick up Walkers Crossing. It was a good year for Walkers Crossing as the route is often closed due to flooding. 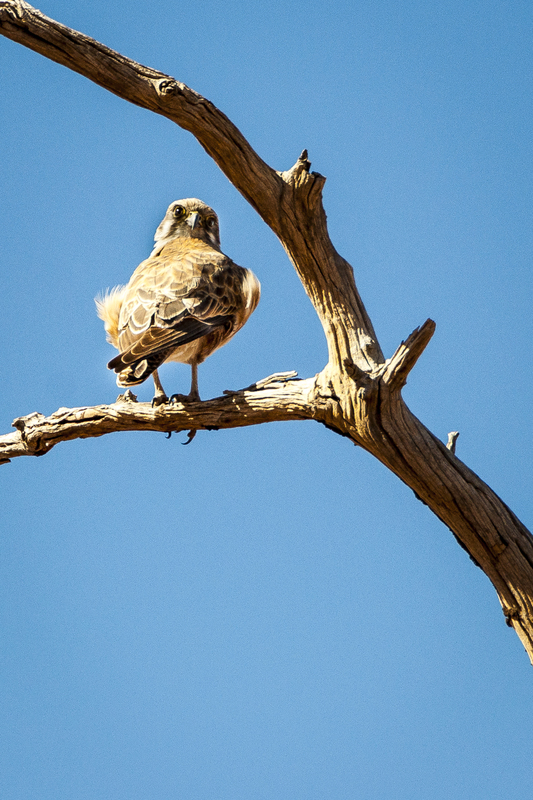 It made a nice hook up onto the Birdsville Track. 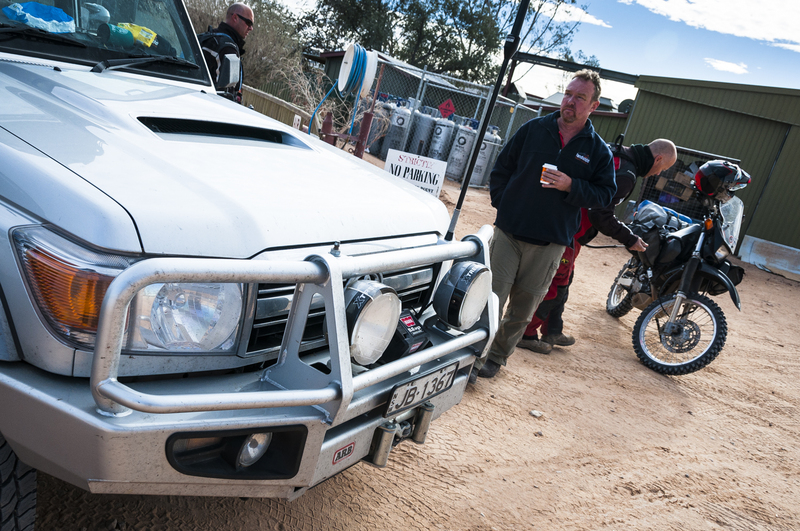 Only three days out of Melbourne and we were in Birdsville; this was going to be a fast paced trip. 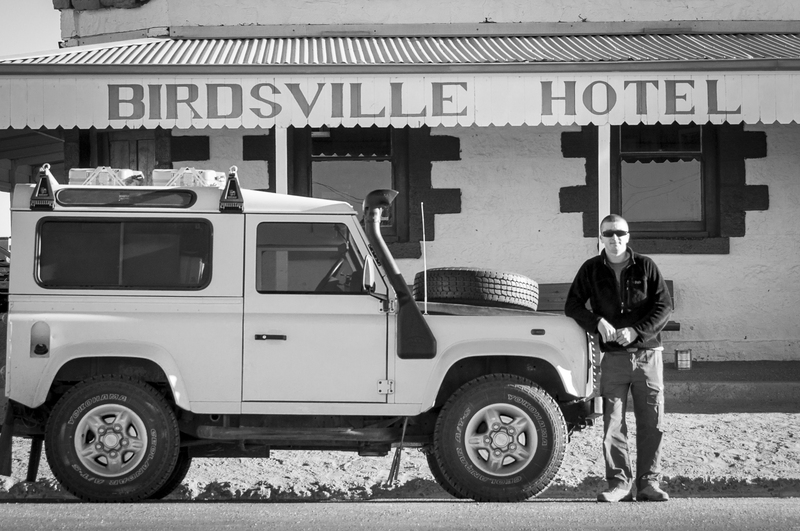 After setting up camp in Birdsville for the night we headed to the Birdsville Hotel for a few beers and a steak. A relaxed morning followed with a nice breakfast at the bakery. We picked up our Desert Parks Passes, fuelled up the bikes and trucks for the last time and headed out west along the QAA line to Big Red. 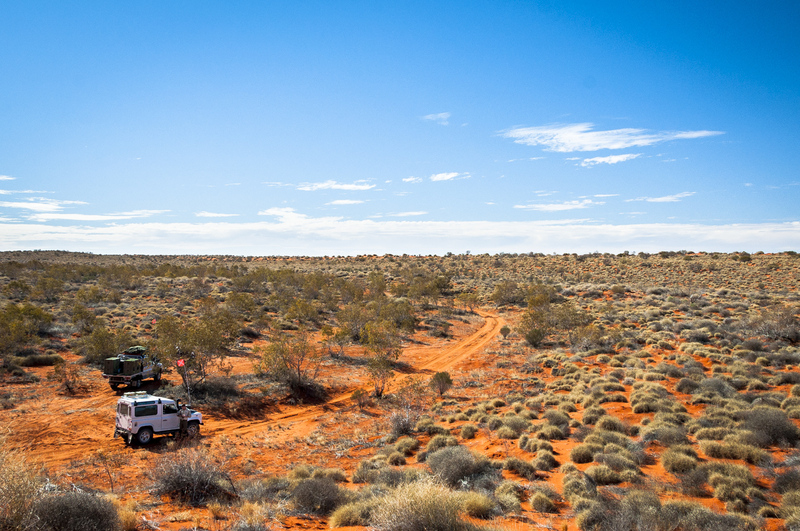 Big Red stands 40m tall and is the largest dune in the Simpson Desert. Quite impressive as there are over 1000 parallel dunes in the Simpson Desert and these are the world’s longest. Stretching unbroken for up to 200km in length from north to south, they are an impressive sight to behold. 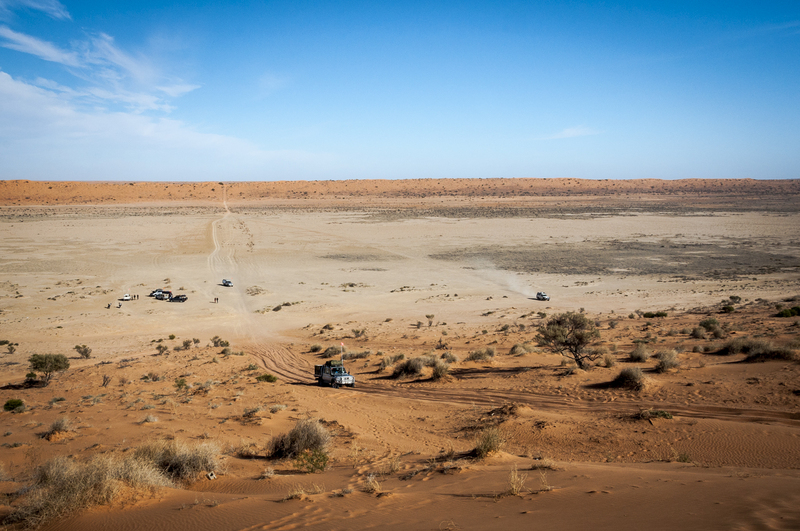 After an hour of successive attempts, we finally reached the top of Big Red by both 2 and 4 wheels before heading on to tackle the start of the dunes along the QAA Line. 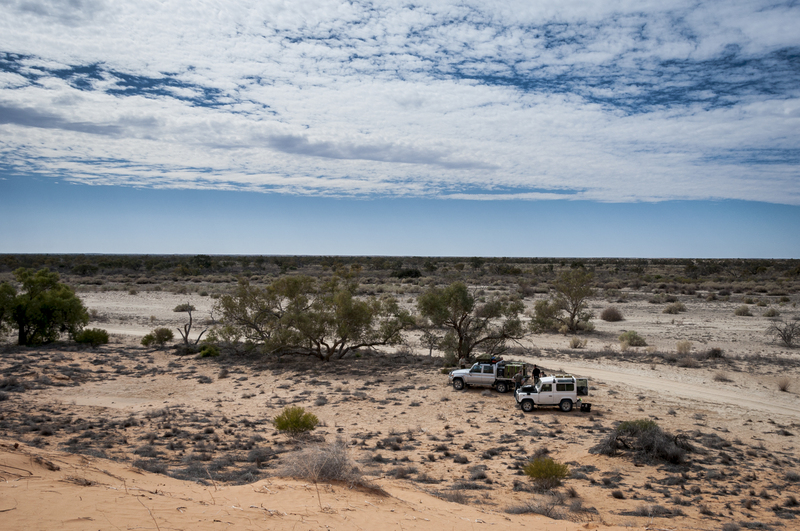 The main routes across the Simpson Desert are tracks that were created during seismic surveys in the search for gas and oil during the 60’s and 70’s. These are the French Line, the Rig Road, and the route we were currently on, the QAA Line. As we were travelling west, we were driving the steeper leeward faces of the dunes. Initially I was a little concerned about this but these concerns proved unfounded. Both trucks and bikes flowed up the much smoother steeper faces and over the brink into the windward face of the dunes. As the windward face is known to be at a shallower angle, the majority of traffic crosses the Simpson from west to east. This makes perfect sense on paper, but what we found was the windward face awash with various tracks, holes and scalloped edges where vehicles had become stuck and dug themselves in. Going down the other side was inevitably more difficult for us than going up! 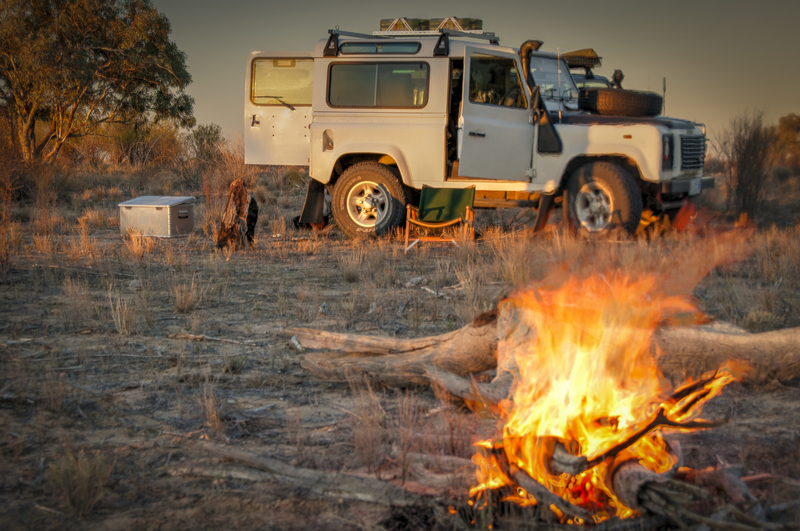 We continued into the afternoon and set up camp just a little way north up the Hay River Track. True desert, crystal clear sky, a serene moment. When following the track north, the going is relatively easy, but there are sections which follow the shot lines roughly east-west. 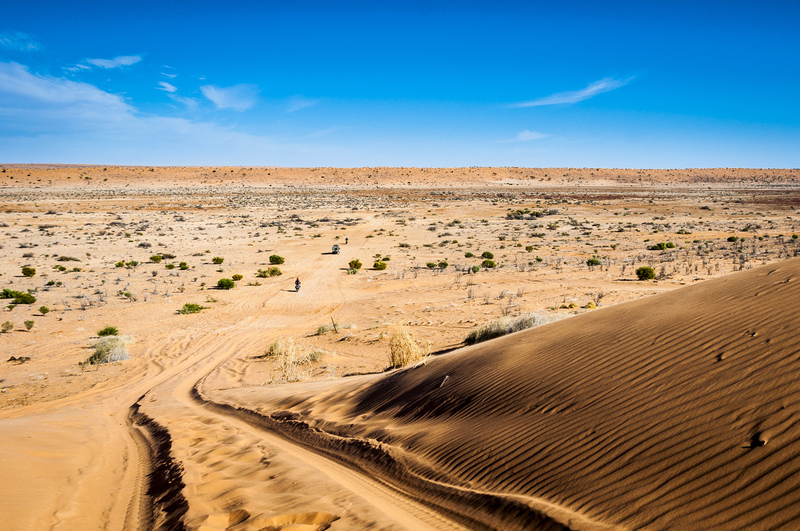 They cross the harder parts of the dunes and in this part of the Simpson Desert these are short, steep and very soft approaches. The going is slow and by lunchtime, we had covered very little ground. Even the bikes, carrying no gear, got caught out from time to time. We followed the track for another two days winding its way along the course of the now dry Hay River, Crossing Madigan’s Line at Camp 15. 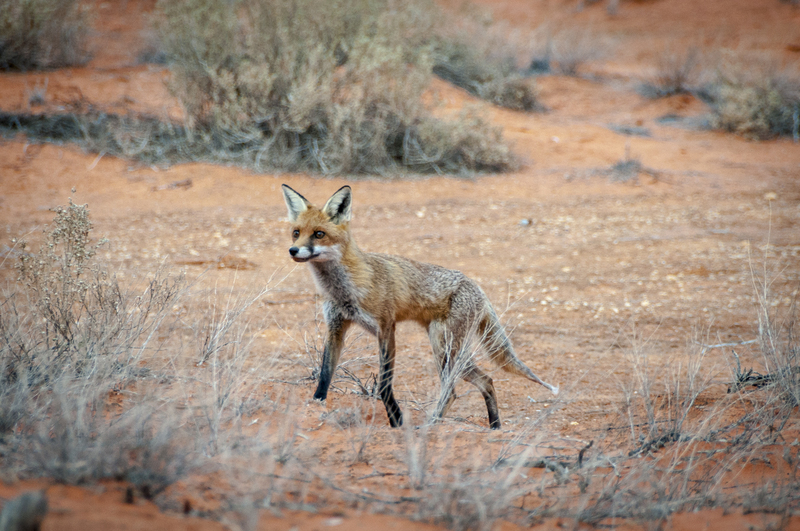 We saw more wildlife here than elsewhere on our travels and only encountered two separate vehicle groups in the 400km desert crossing. 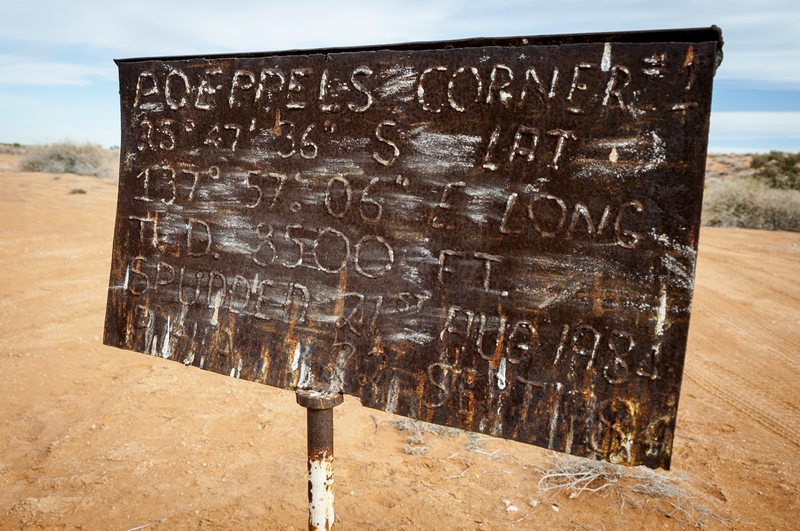 We also crossed the Tropic of Capricorn, a first for me. We finished up the Hay River Track at Batton Hill Campground where we were asked for our permits for the Aboriginal land access. As it was early afternoon, we decided not to camp at Batton Hill and pushed onto Jervois Station another 70km out. 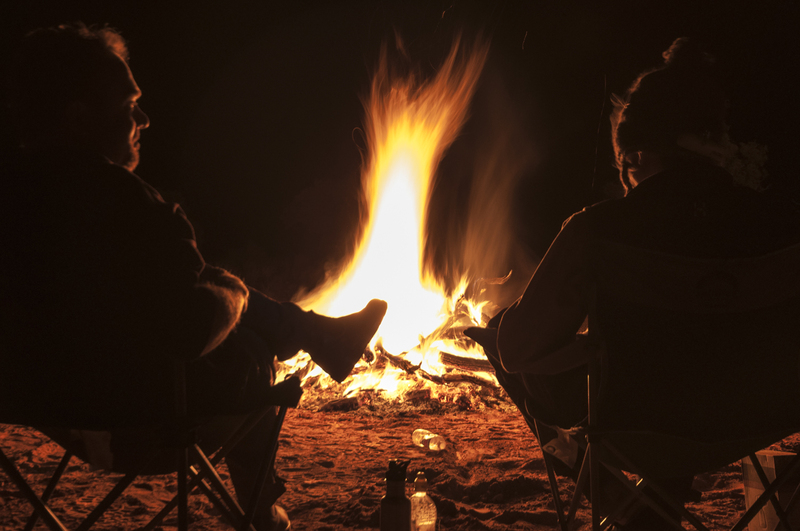 Meeting with the Plenty Highway, we had crossed the Simpson via the Hay River Track in just three days. The following day was a leisurely drive into Alice Springs where I had to bring my flight forward by a few days as we’d moved so fast. 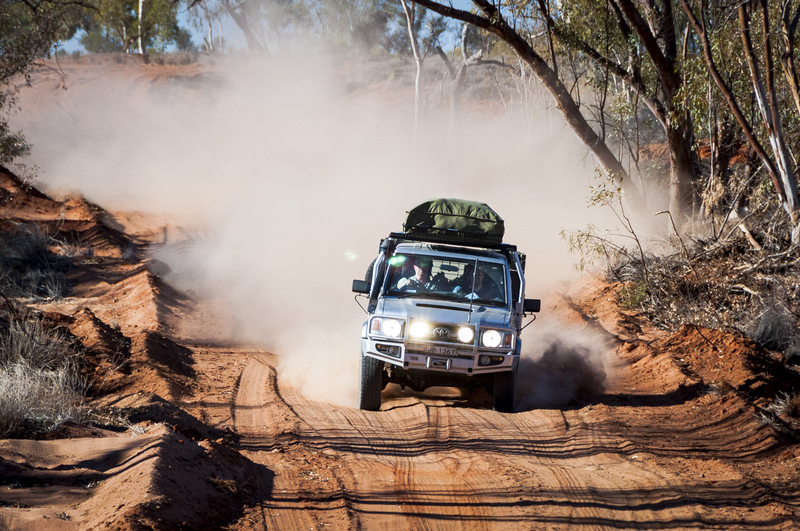 We had just driven approximately 2900km from Melbourne to Alice via the Simpson Desert in just six and a half days! 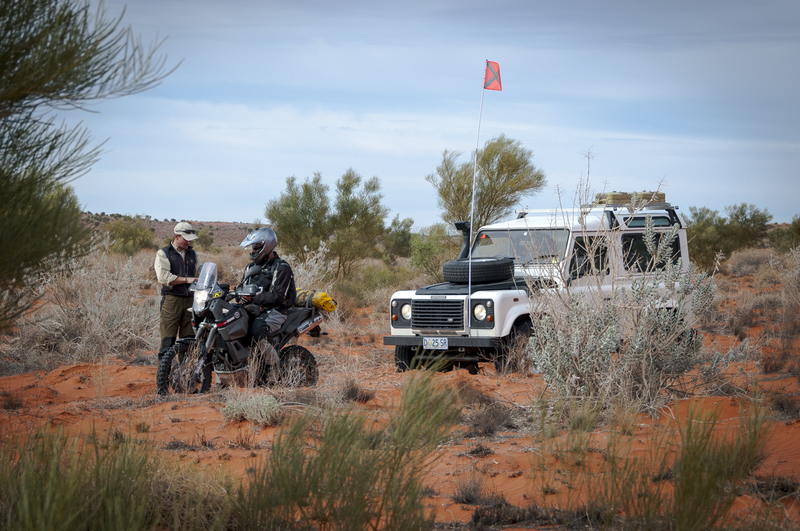 We sorted out our gear and rested for the remainder of the day as the two bikes and the Land Cruiser plotted their route back across the Simpson Desert. 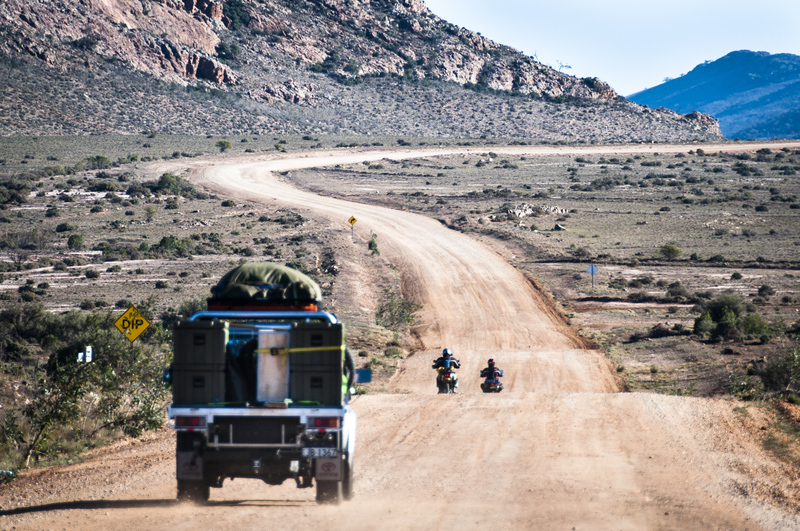 They had to pick up their tow vehicle and load the bikes in Broken Hill before returning to Sydney. Callum dropped me off at the airport the following morning and I was back in Geelong that evening. 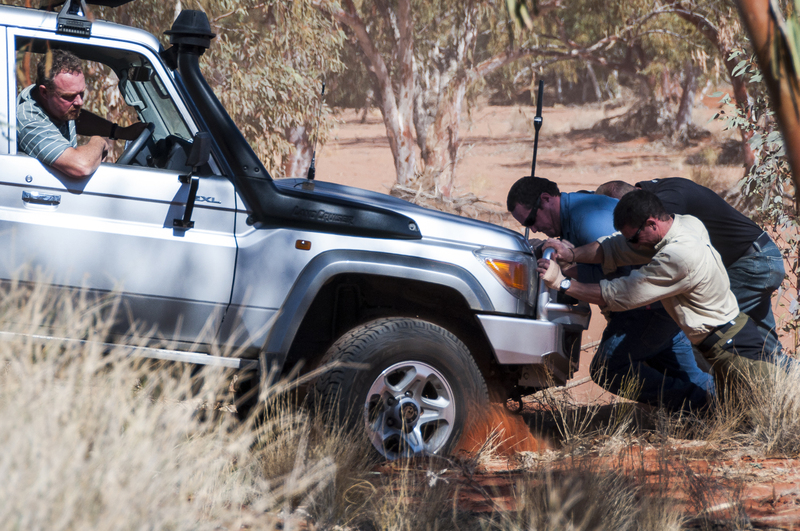 A fast paced trip but an opportunity not to be missed when someone says “would you mind driving my Defender across the Simpson Desert for me”. 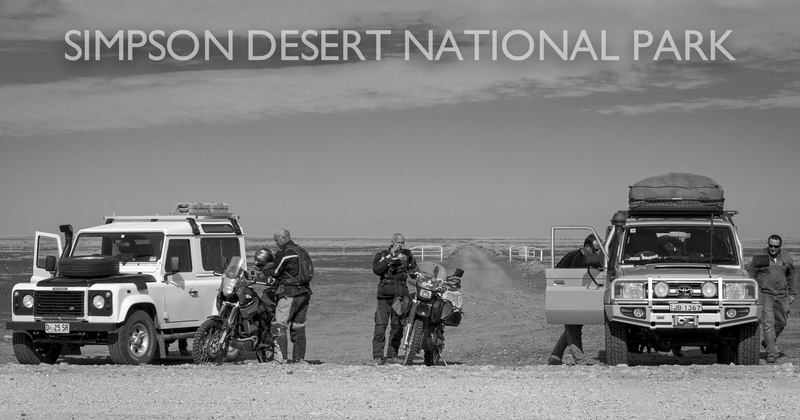 You will also need a Deserts Parks Pass from the South Australian NPWS which is available from Birdsville.